We watched "You're a Good Man Charlie Brown" at the Carlos P. Romulo theater at RCBC Plaza. I thoroughly enjoyed the show. It was my first time to see it and to be honest - as much as I read Peanuts when I was growing up - I was not an avid fan. So seeing the characters played out onstage was a good revelation of who Charlie, Sally, Lucy, Schroeder, and Linus are. Snoopy is an exception - I actually know who and what Snoopy is because I remember reading Peanuts when it features Snoopy. 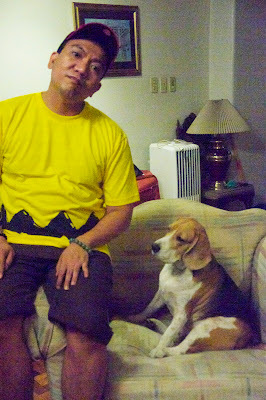 I like Snoopy so much that I knew that if I was going to have a dog - it will be a Beagle. Watching the play - the queen remarked that I sound like Linus - blurting out useless facts. I guess she's right however - there are moments when I felt that Charlie Brown's character was like me - especially during those moments when he is overcome with self doubt. Those are the moments that spoke to me loudest. Granted - I don't feel self-doubt often - and most of the people I know do not even think those moments exists. However - they are there - and when they come - like Charlie Brown - I feel helpless and I just decide not to act and leave the action for another day. My favorite actor in the play: Carla Guevarra-Laforteza who played Lucy. She made me laugh most. Her comic timing is impeccable. 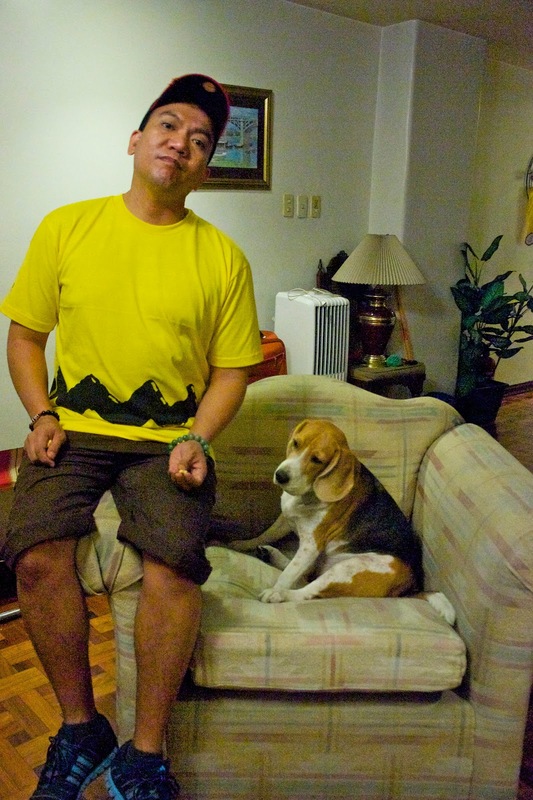 My second favorite actor is Lorenz Martinez who plays snoopy. I can actually see a dog who can speak in his performance. Moreover - he not only acted well - he also sang and danced very well. My least favorite are Franco Laurel and Robbie Guevara who played Linus and Charlie Brown respectively. I think that I was hoping a little bit more child-like qualities in their portrayal. I know it's not an easy role to portray - most of us cannot act child-like when we grow up --- but it is their job to convince us that they're very young children in the play. Ooh - I forgot to mention - my favorite part of this whole experience is that of being able to grab a Charlie Brown T-Shirt. After the play - I immediately wore the T-Shirt and had my pictures taken with a baseball cap and posed with Midori. 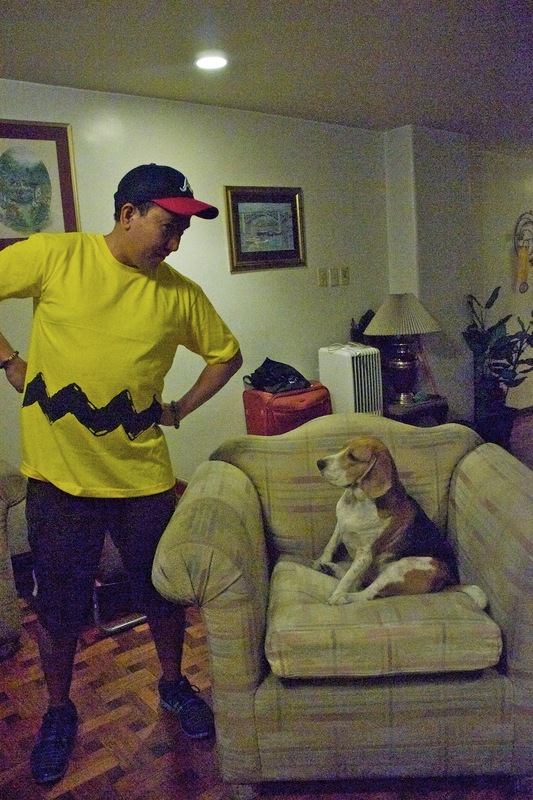 Here are pictures of Midori and me as Charlie Brown and Snoopy. NOTE: "You're a Good Man Charlie Brown" is directed by Michael Williams. They will have another show on March 2, 2012 at 8:00 PM at Carlos P. Romulo Theater. Follow this link for more information. Hehe! 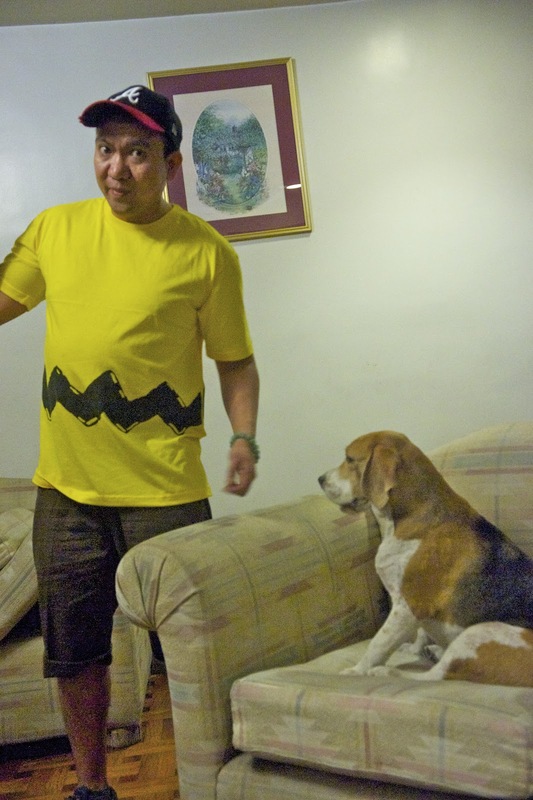 We love that Snoopy is a Beagle! :) Great Tshirt!! Hello Luna. Thank you for dropping by and leaving us a note. I think all Beagle owners should have this T-Shirt as a uniform. I wish that it comes in many colors and that it also comes in a more flattering cut ( I look like a fatty in it :-P ).